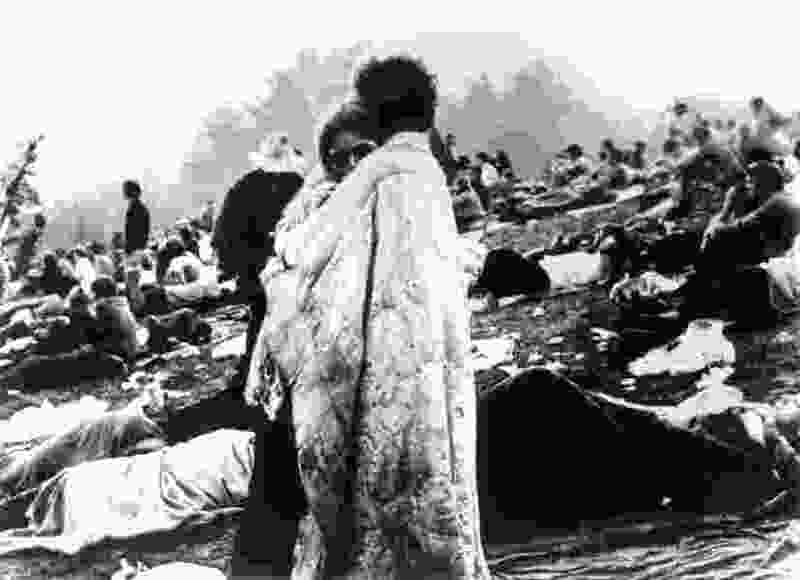 (Associated Press file photo) Bobbi and Nick Erkoline embrace wrapped in a quilt during the historic Woodstock concert in August 1969 — in an image that was immortalized as the cover of the "Woodstock" album. The Erkolines, still together 50 years later, will be guests of the 2019 Bicknell International Film Festival, July 26-27, in Bicknell, in south-central Utah. What was three days of peace, love and music in upstate New York in 1969 will be celebrated with two days of bad movies this July in Bicknell, Utah. The Bicknell International Film Festival, revived in 2018 after a hiatus, will celebrate the 50th anniversary of the legendary music event known as Woodstock with “BIFFStock: All the Fun Without the Mud,” July 26 and 27 at the Bicknell Theater in the south-central Utah town west of Capitol Reef National Park. Festival organizer Don Gomes said in a statement that he has lined up a pair of special guests: Bobbi Kelly and Nick Ercoline, who became icons of the concert when a photo of the couple, huddled in a quilt, became the cover for the album “Woodstock.” Kelly and Ercoline had been dating a few weeks at the time, married a couple of years later, and are still together now. They will talk to the Bicknell audience about the social and cultural impact of the 1960s. Woodstock is considered one of the signal moments of the 1960s, when some 400,000 people descended on a dairy farm near White Lake in Bethel, N.Y., in the Catskills, on Aug. 15-17, 1969. A range of acts — Jimi Hendrix, The Who, Jefferson Airplane, Joan Baez, Richie Havens, Arlo Guthrie, Santana, the Grateful Dead, Janis Joplin, Sly and the Family Stone, Joe Cocker, Crosby Stills Nash & Young, and more — performed over the three days. A documentary chronicling the event, directed by Michael Wadleigh, became a box-office hit the following year. BIFF was launched in 1995, playing B-movies and oddities in late July every year until 2013. The festival returned in 2018, under the umbrella of the Entrada Institute. 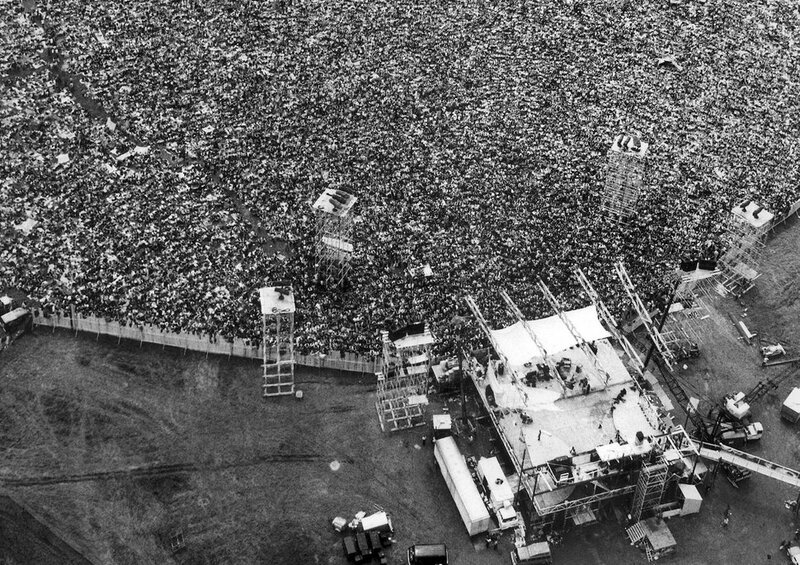 (Associated Press file photo | Marty Lederhandler) In this Aug. 16, 1969, aerial photo, music fans pack around the stage at the original Woodstock Music and Arts Festival, lower right, in Bethel, N.Y.